Our classical winged lion holds a shield with the lion crest. When filled to the brim this stein holds 22 oz., and is 3 3/4 inches across at the lip. 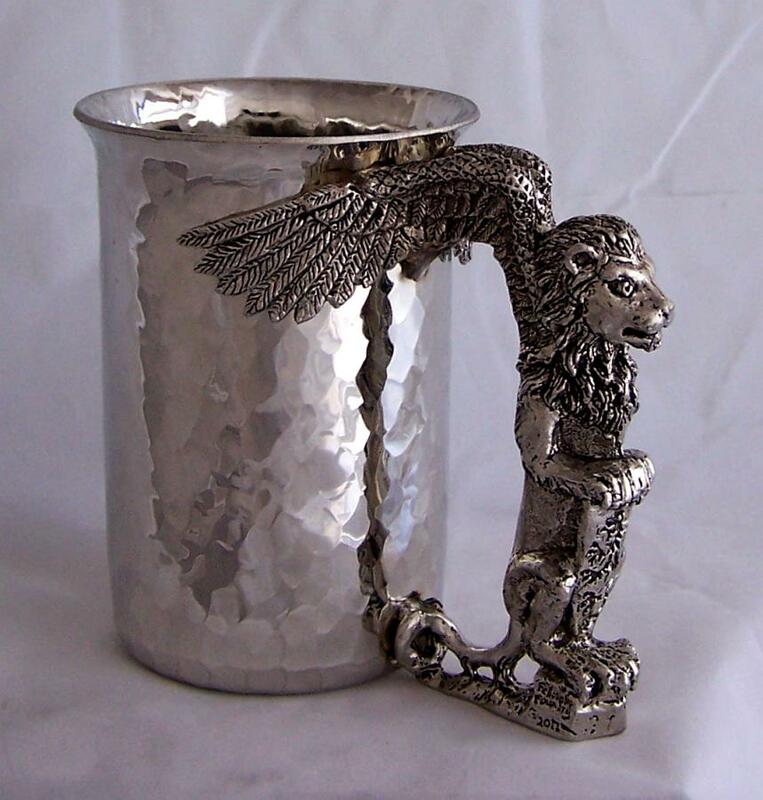 We make it by hand from lead-free pewter so it's safe to drink from.